One of the largest trusts in the country faces having one of its schools taken away if any more of its academies in the region are given Ofsted’s bottom grade. Copperfield primary academy in Kent, which is run by the Reach2 academy trust, was hit with an ‘inadequate’ rating in January, with Ofsted singling out trustees for failing to support the school. In a “minded to terminate” notice to the trust, which has 58 schools, interim national schools commissioner Dominic Herrington warned the school could be re-brokered to another sponsor if other REAch2 schools in the region follow suit. The letter, dated March 28 but published today, sets out that a condition for maintaining the trust’s funding agreement for the school includes “that no other REAch2 academy in the south east and south London region is judged ‘inadequate’. “It is crucial that standards across the trust’s other schools are secure whilst Copperfield is supported to improve,” said Herrington. The trust must also submit an improvement plan, boost pupil outcomes this year, and shake off the school’s poor judgment at its next monitoring inspection. Warning notices are issued to schools when the government’s regional schools commissioners have concerns about the quality of education, and usually follow a negative Ofsted report. Minded to terminate notices are the first stage of an intervention process which can result in academies having their funding agreements terminated and being transferred to a new sponsor. Such notices often require evidence of rapid improvement among other conditions, but it is unusual for so much weight to be placed on the performance of other schools in a school’s trust. Copperfield is the second REAch2 school to have been threatened with rebrokerage in recent months. 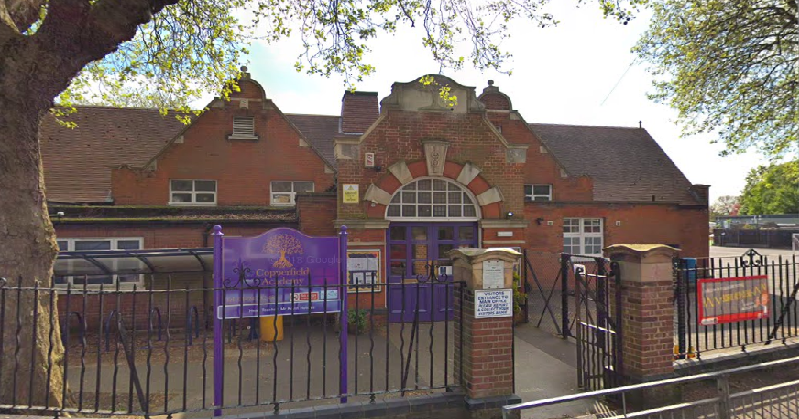 Sprites primary academy in Ipswich was hit with a warning notice in December following an ‘inadequate’ grade in May, with inspectors warning that “challenge from the governing body and REAch2 academy trust […] has not had a successful impact on pupils’ outcomes”. However a recent monitoring visit in January found leaders were taking effective actions towards addressing the serious weaknesses identified at the inspection. The latest report for Copperfield academy warned that the “school’s leadership and staffing have been turbulent” since it joined the trust in 2013 and the “trust has not been effective in supporting the school to improve”. A spokesperson for REAch2 said the trust “fully recognised” the DfE’s view and had “already put in place a number of significant changes, including an extremely experienced senior leader, together with a comprehensive training programme to improve teaching and additional funding that will help improve results”. The trust was confident the improvements would be reflected in pupils’ results at the end of the year, they added. Reach2 boasts in its accounts (y/e 31/8/2018) about the proportion of good and better schools in its group. But two Croydon schools were given up because they were struggling. This helps reduce the proportion of schools either judged or at risk of being judged inadequate. The condition that no other Reach2 in Herrington’s region should be judged inadequate has not been met. Reach2’s Ranikhet Academy in Reading was judged inadequate on all four measures in December. Inspectors said parents had lost faith in the school and numbers had fallen. Could it be that Reach2 has over-reached itself?